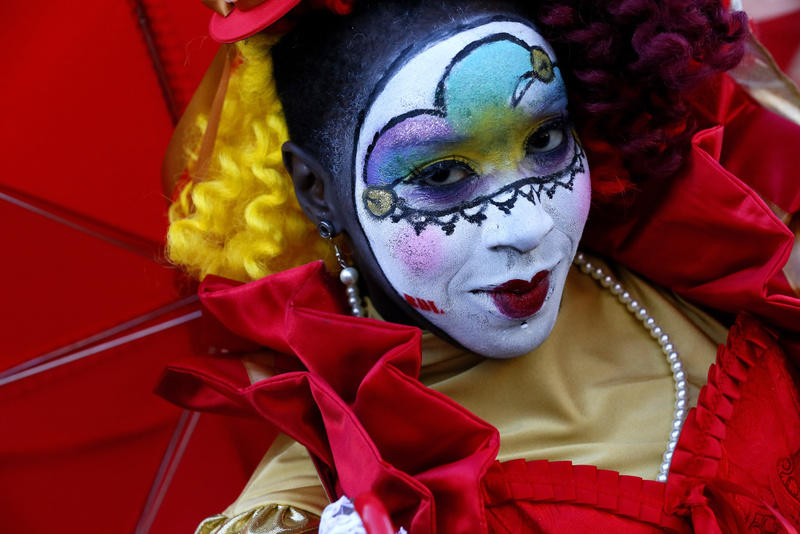 A reveler makes her way through the French Quarter of New Orleans, Louisiana during Mardi Gras festivities on February 9, 2016. Valentine's Day is around the corner and the 2018 Winter Olympics are here. If you need some respite from either of these mega-hyped events, we've got you covered. Enjoy the best, boldest and weirdest things to do in Southern California this weekend. 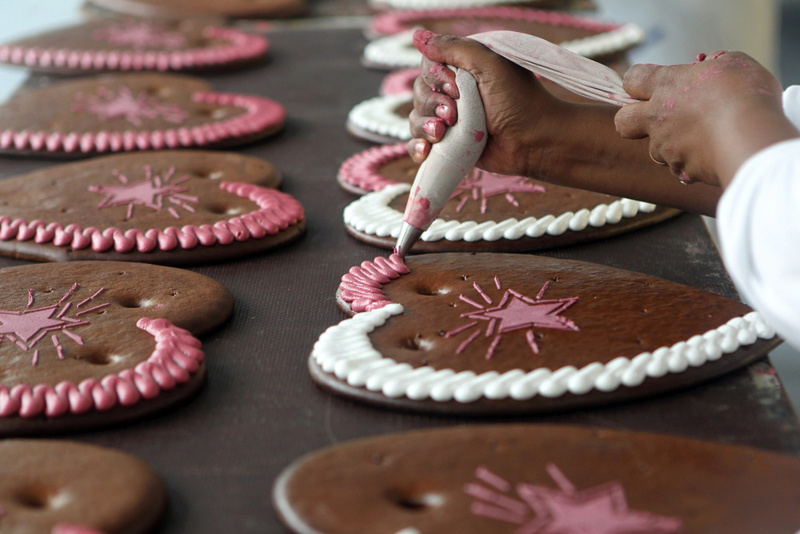 An employee decorates gingerbread hearts to be sold at Oktoberfest in Aschheim, Germany on August 6, 2010. Did "The Great British Baking Show" send you running to your pantry? Get a glimpse of the latest innovations in cakes, pies, tarts, cupcakes, churros and cookies at the West Coast's largest baking and pastry convention. Cake ace Duff Goldman will discuss all things fondant. It's BYOB (Bring Your Own Bib) so you can mop up your drool. 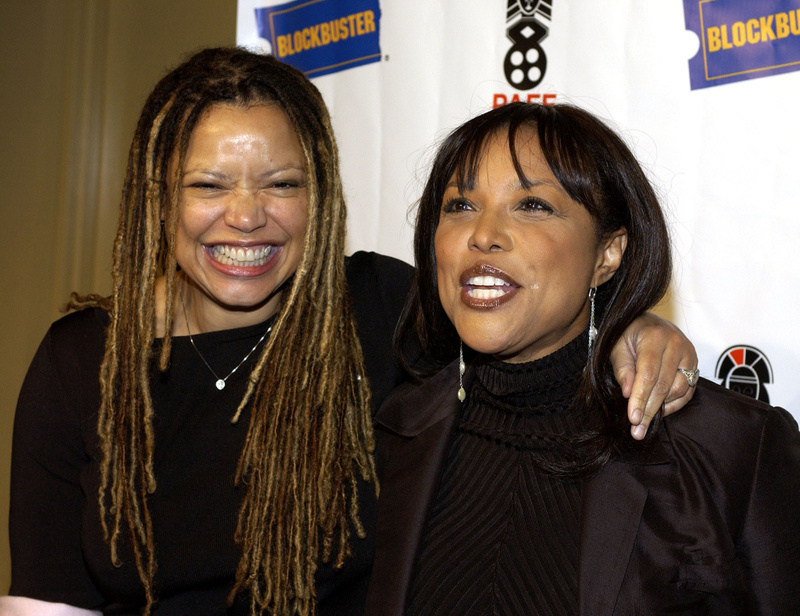 Director Kasi Lemmons (lefty) and actress Lynn Whitfield attend the opening night of the 12th Annual Pan African Film and Arts Festival. Check out the best in Black cinema from homegrown talent and from filmmakers around the world. 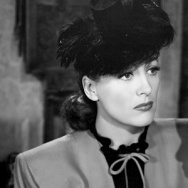 You can catch dozens of films including "Back to Natural," a documentary that explores the politics of hair and racial identity; "Nothing Like Thanksgiving," a drama about a man trying find someone to replace him before he dies; "King of Stage," the story of legendary theater producer Woodie King Jr.; and "Love By Chance," a comedy about two South African actors trying to break into Hollywood. 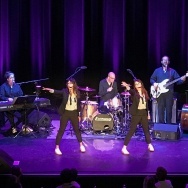 The festival also includes an art exhibition, a comedy show, panel discussions, opening and closing galas and more. WHEN: Friday, Feb. 9; 6 - 9 p.m.
Laissez les bon temps rouler! 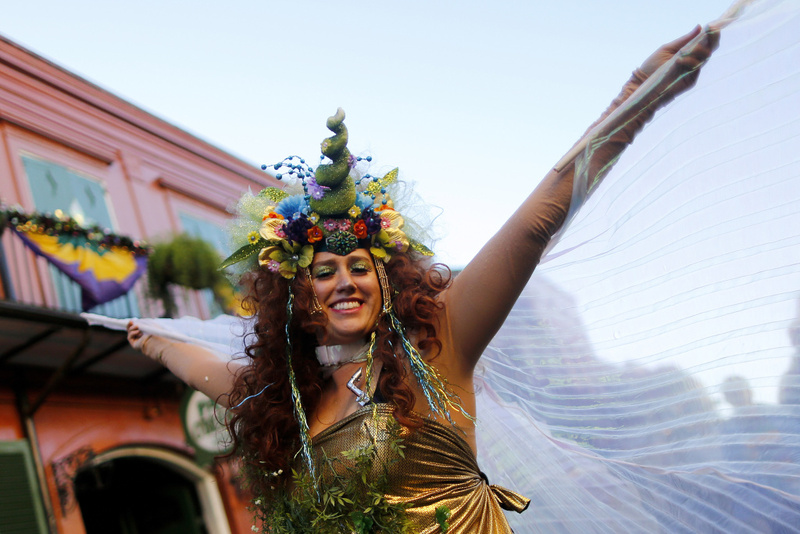 New Orleans comes to L.A. for a family-centric Mardi Gras celebration. The eight-piece Mudbug Brass Band will provide the tunes. Louisiana favorite Abita will join a few local breweries to pour the brews. New Orleans-themed food trucks will dish up the eats. Festivities include a second line parade, a pop-up artisan marketplace and a crafts area where kids can create masquerade masterpieces. 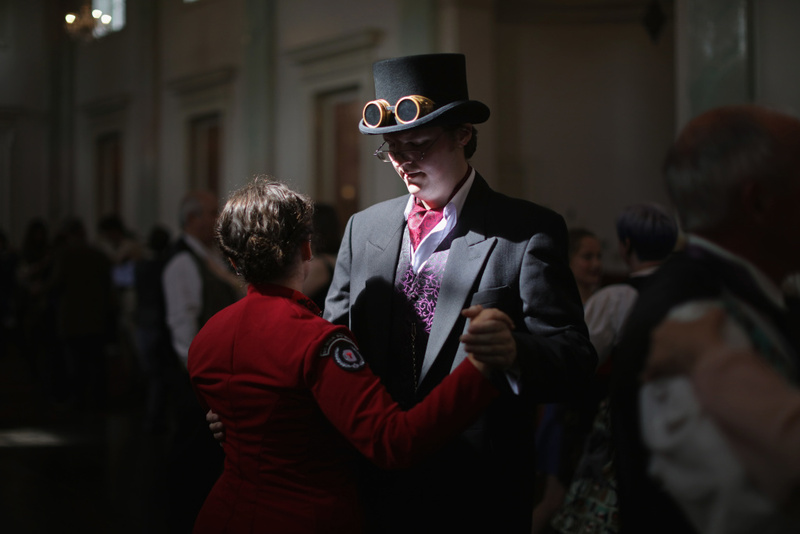 Costumed enthusiasts attend a dancing class during the Asylum Steampunk festival in Lincoln, England on August 29, 2015. WHERE: Globe Theatre; downtown L.A. The heart of man is deceitful and corrupt. But for two days you can pretend that you live in a whimsical Edward Gorey storybook. This circus of top hats and imaginary steam-powered dirigibles includes an underground garden, a grand dress-up ball and a performance of Gorey's only choose-your-own-adventure tale, "The Raging Tide: or, The Black Doll's Imbroglio." A woman stands next to the 1973 work "Flags I" by Jasper Johns at the British Museum in London, England on March 6, 2017. WHERE: The Broad; downtown L.A.
Yayoi Kusama's eminently selfie-able installations are soooooo 2017. 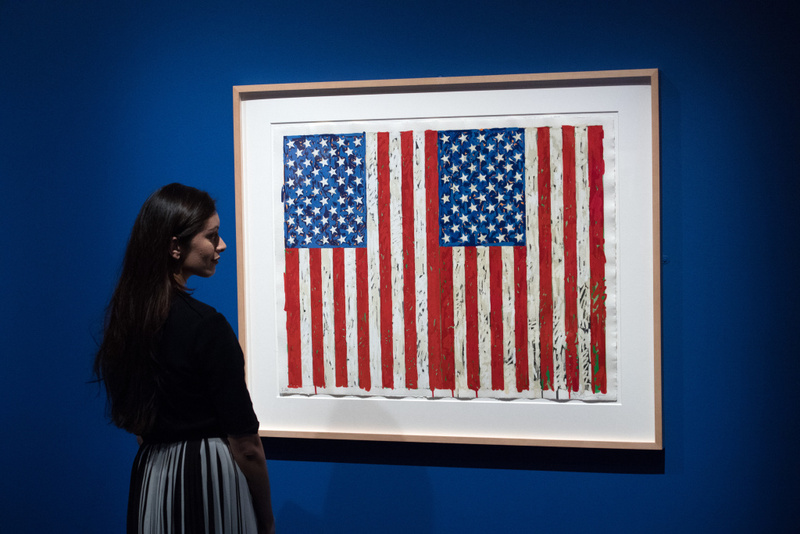 The new hotness is Jasper Johns and this collection of more than 120 of his iconic works. Many of these paintings, sculptures, prints and drawings have never before been publicly shown in Los Angeles. The exhibition is organized thematically rather than chronologically, so you can explore the ideas that obsessed Johns. 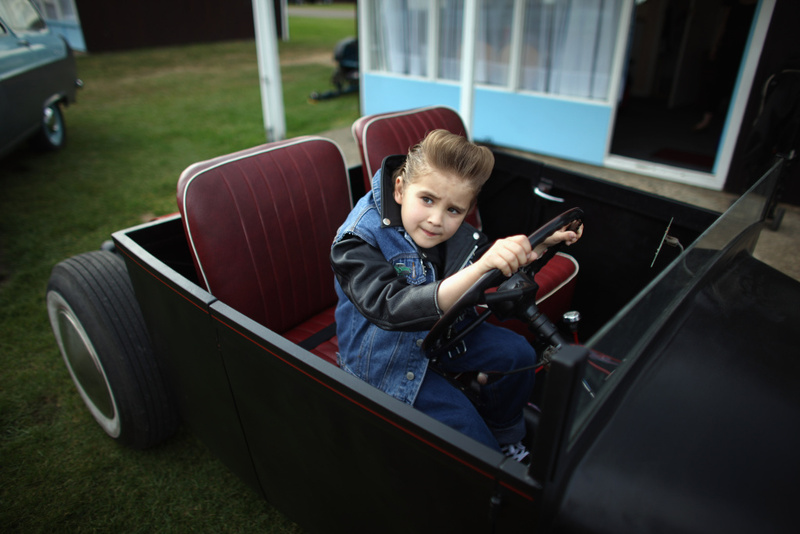 Buddy Monger, 8, plays in his father's hot rod during the Hemsby Rock n Roll Weekender in Hemsby, England on May 15, 2011. 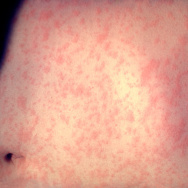 WHEN: Saturday, Feb. 10, 10:30 a.m. - 6 p.m.
WHERE: The Reef; downtown L.A. Whether you want to look like an elegant Victorian lady or a 1950s hot rodder, shop this expo to find the perfect threads and accessories. Nearly two dozen dealers will show off their best vintage couture. 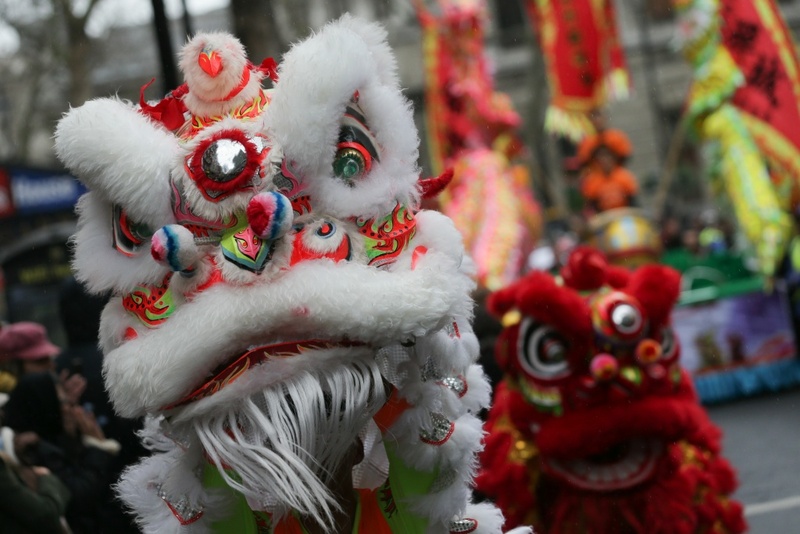 Performers wearing lion costumes dance in a parade for the Chinese Lunar New Year in London on January 29, 2017. WHEN: Saturday, Feb. 10, 11 a.m. - 8 p.m. If you're going to celebrate the Lunar New Year, the San Gabriel Valley is the place to do it. Combining tradition and modern fun, the festival features a street food fair, carnival games, a chalk art contest and tons of performances. 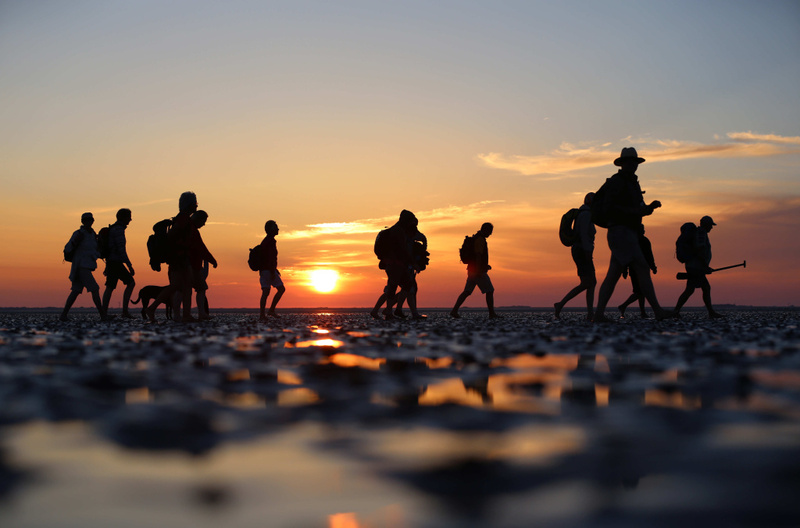 A group of hikers walks through mudflats as the sun sets before going on a moonlight walk in Dagebüll, Germany on July 22, 2013. WHEN: Saturday, Feb. 10, 7 - 9 p.m.
Visit Madrona Marsh as the sun sets and day becomes night. On this guided walk, you can see and hear the sounds of animals and insects as they begin their nocturnal activities. Pre-registration is recommended since the walk is limited to the first 25 people who sign-up. Actors Olive Borden and Don Alvarado support a stricken Jacques Lerner in a scene from the 1927 movie romance "The Monkey Talks." WHEN: Sunday, Feb. 11, 1 p.m. - 7 p.m.
WHERE: Angel City Brewery; downtown L.A.
Can an afternoon of games, circus performances and sets by bands Suez, Novala and Blackwater Jukebox repair your shattered dreams? Probably not. But there will be beer. A portion of the proceeds go to Outfest. 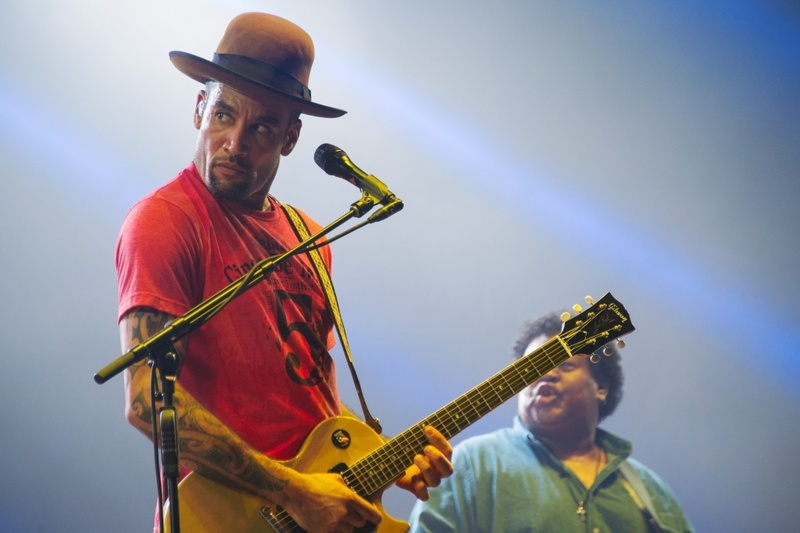 Musician Ben Harper performs on stage during the 27th Eurockeennes festival in Belfort, France on July 3, 2015. Two days, one love. Rebelution, Nas, Atmosphere, Ben Harper and Iration headline this festival of nearly 50 reggae acts. A Friday pre-party and a Saturday after-party — all on Southern California's most famous ocean liner — round out the shindig. Athletes compete in their underwear in Cupids Undie Run in Melbourne, Australia on February 14, 2016. WHEN: Saturday, Feb. 10, noon - 4 p.m.
Want an excuse to show off your abs — or your flab? This "brief" run is only about a mile long and it happens in the middle of a major party. Proceeds go toward research to to end neurofibromatosis. If you're not into sprinting in your skivvies, feel free to wear a costume instead. 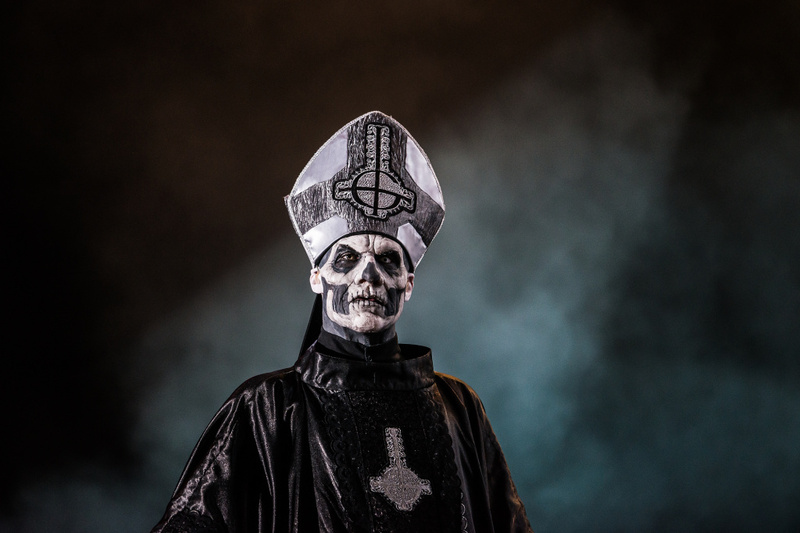 Mary Goore of the band Ghost performs on stage during a concert at the Rock in Rio Festival in Rio de Janeiro, Brazil on September 19, 2013. WHEN: Saturday, Feb. 10 - Sunday, Feb. 11, 9 - 11 p.m. and 11 p.m. - 1 a.m. This San Fernando Valley museum (some would call it a store) is full of ouija boards and other items for fans of the occult. Does that mean it's haunted? We have no idea. But this investigation claims it will reach out to any spirits still hanging around the joint. 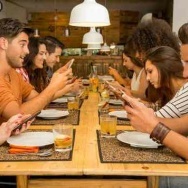 How are you spending your weekend? Let us know on Twitter @KPCC. Correction: This story has been updated to reflect the price of the Jasper Johns' exhibit at The Broad. Entry to The Broad is free, but admission to the exhibit is $25 for adults and free for children. So, you want to buy a film festival?